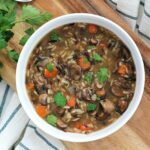 Mushroom and Wild Rice Soup. 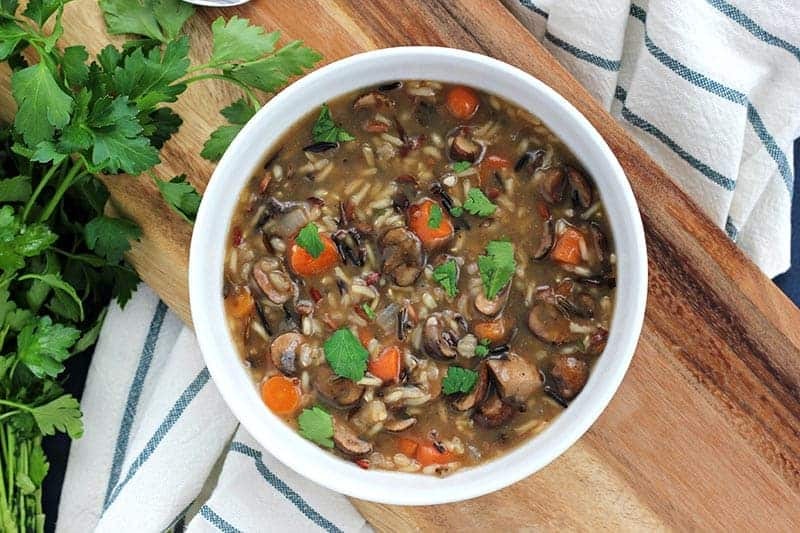 Fresh mushrooms simmer with wild rice and carrots to make a hearty and filling soup recipe. I have just rediscovered my love for mushrooms. It seems like over the last few years the savory bites of heaven have been pushed aside to make room for the more picky taste of my eight year old. I assumed he wouldn’t like them which was my first big mistake. Wandering through the grocery store a box of chopped baby bella caught his eye. We love to try new things and expand his food tastes, so I figured what better time to introduce him to one of my all-time favorites? 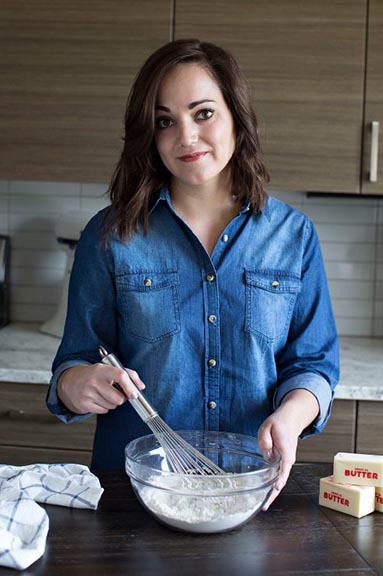 We added them to the cart and headed home to whip up something delicious. A quick peek in the pantry, and the snowstorm blowing around outside, helped us decide on a belly warming soup. There isn’t anything more hearty and I felt this would be a great way to showcase the flavor of the tiny little mushrooms. 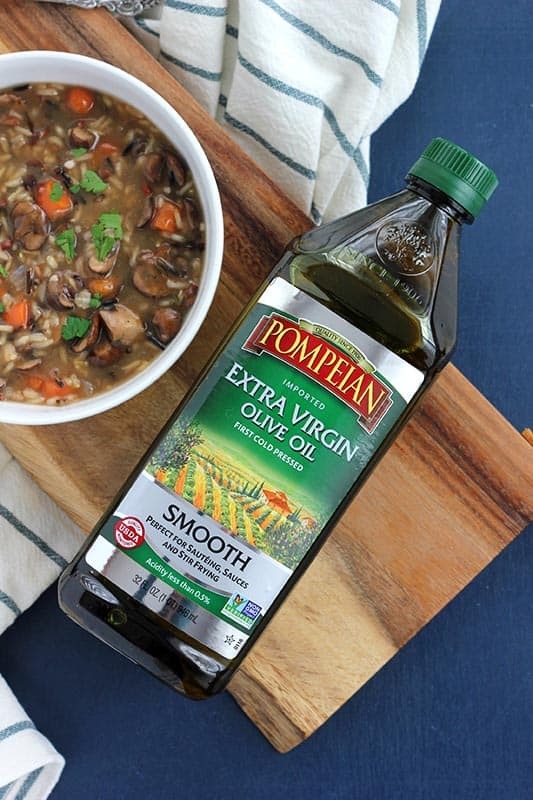 The first thing I did was reach for Pompeian’s Smooth Extra Virgin Olive Oil. It’s delicate flavor makes this perfect for sautéing which is exactly where I wanted to start with this dish. We chopped up onion, carrot, and garlic for the base adding wild rice to make it more filling. Toss in those mushrooms and you have a meatless Monday meal ready to add to your menu line up! While this recipe is a vegan favorite we also think it could taste delicious with chopped sausage or chicken. And because I know you are dying to find out… My little guy is a mushroom lover just like his mom. Cool completely. You want the soup to cool quickly to keep it in the safe zone. Place the pot in an ice bath and stir to help the soup temperature drop. Store in a freezer safe bag or tightly sealed bowl. Making sure your storage system is freezer safe is key to fighting freezer burn. Like this recipe? You will love my Chicken Pot Pie Soup, Easy Broccoli Cheese Soup, and Zuppa Toscana Recipe! Heat your oil in a large pot. Saute the onion until soft. Add the garlic and cook one minute more. Stir together the corn starch and water. Mix into your soup and continue to cook until slightly thickened. 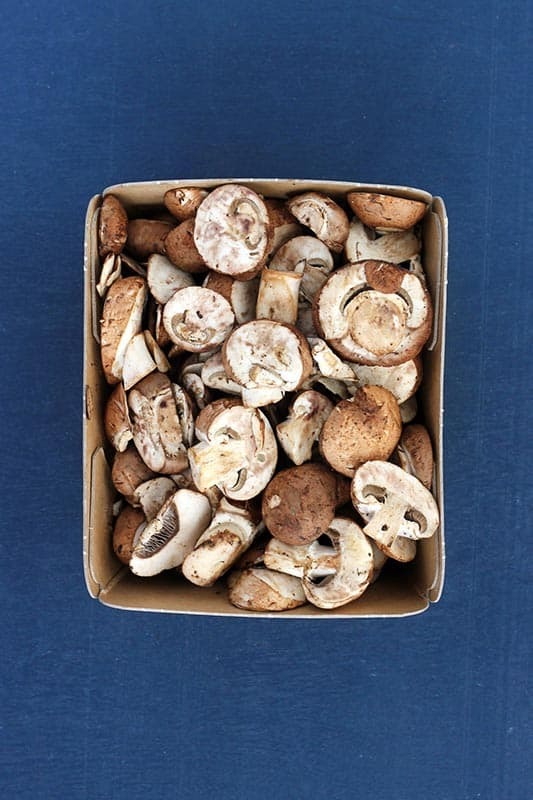 * We used baby bella mushrooms in our recipe but have also made it with a mix of different types with great success. Don't be afraid to mix and match mushroom varieties. * For my vegan friends: I know some of you prefer not to use cornstarch. Arrowroot is a great substitute in this recipe. * Some wild rice has a lower cook time. Adjust according to the package. Thank you Pompeian for inspiring such a fun recipe! for all the goodie in the soup it was TASTELESS!! I’m sorry you felt that way, Margaret. We’ve made it several times and have never come across that issue. If you have any suggested changes I would love to give them a try.